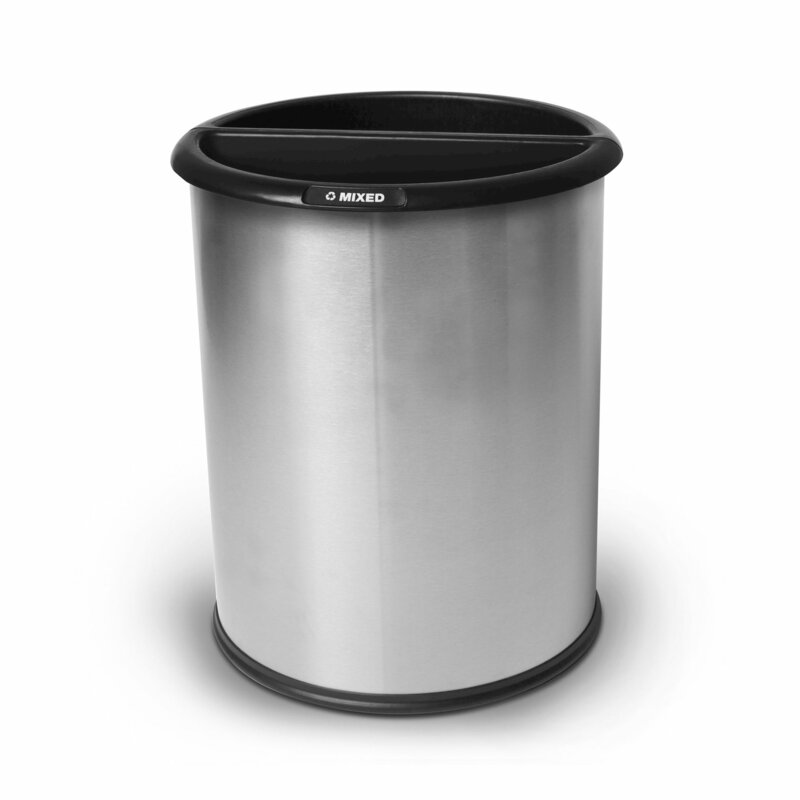 Our space saving 3.2-gallon Precision stainless steel round waste basket is a must have for offices, hospitals, hotels, or any other deskside location. Constructed out of heavy gauge 304 grade steel with the option of black or brown vinyl cover for added color. To protect the floor and to prevent the waste basket from moving, a rubber ring has been added to the bottom of the unit. 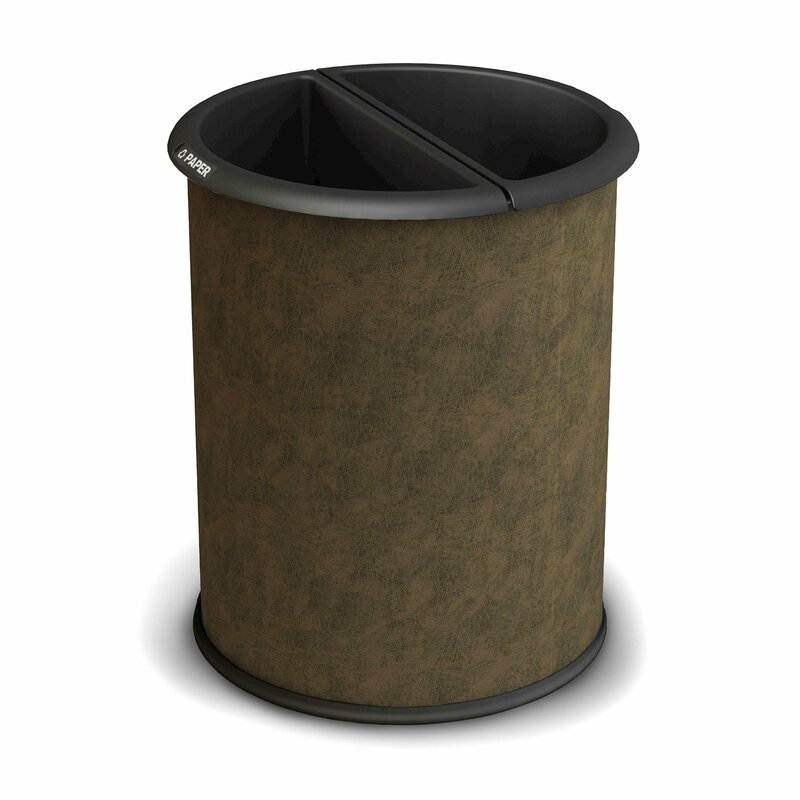 Featuring two 1.6-gallon polypropylene semicircle shaped liners to divide the trash from the recyclables for easy distribution. Includes a set of decals to clearly label the sides of the waste basket: Trash, aluminum, paper, glass, plastic, organic, recycle, and mixed. 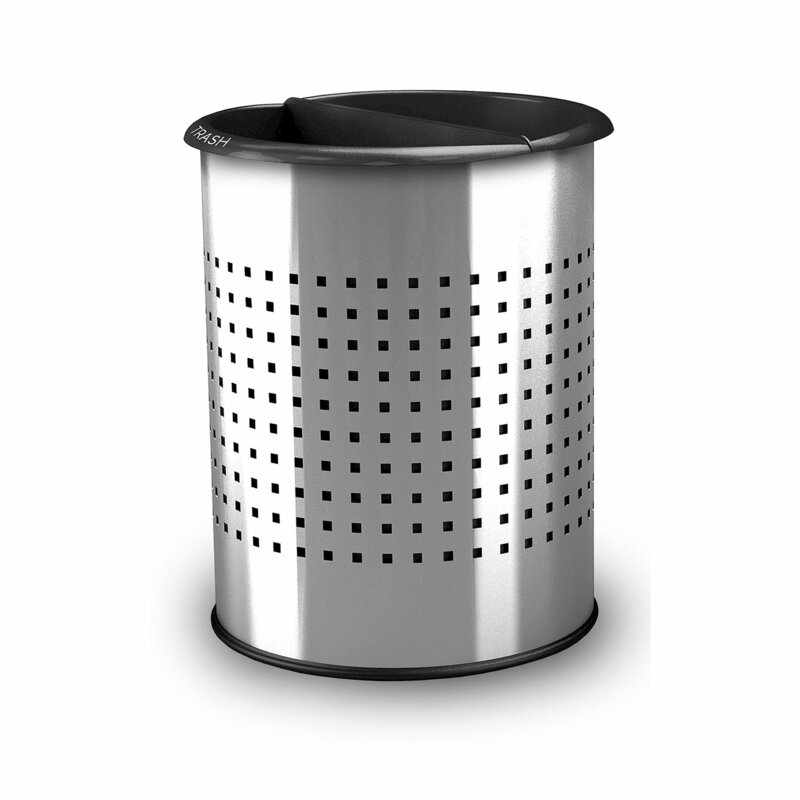 The standard stainless steel waste basket comes with a decorative hole punched option for even more style and a choice between black or blue for the second liner. 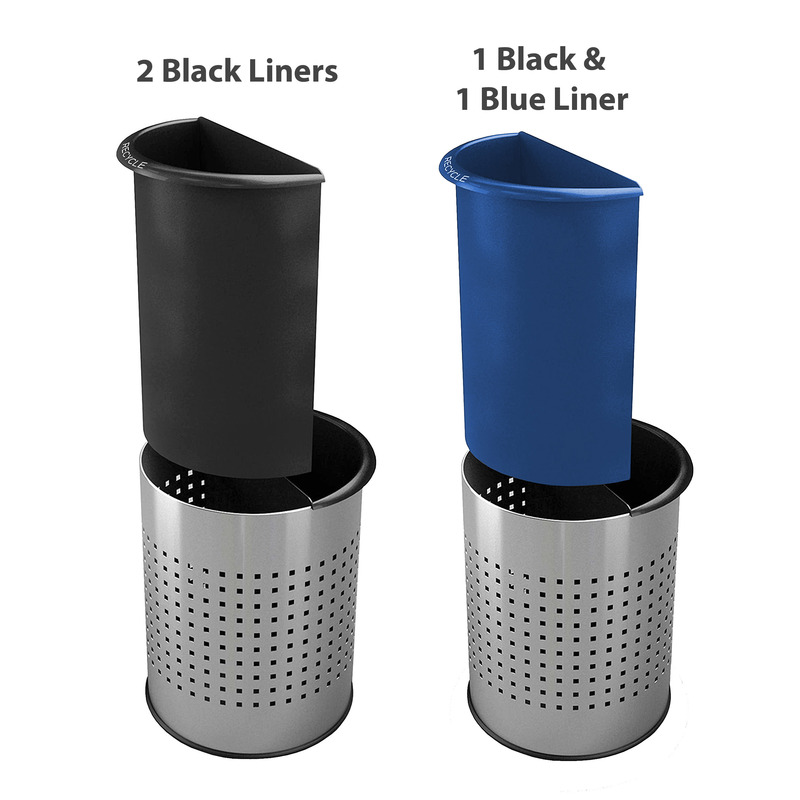 Keep your office looking professional for a lifetime with this cost effective waste basket!